Right ascension: 23h 22m 21s Declination: +40° 52' 15"
60x61s. Captured in K3, debayered in AVIRaw, stacked in Registax, curves in photoshop. Noise in NeatImage. 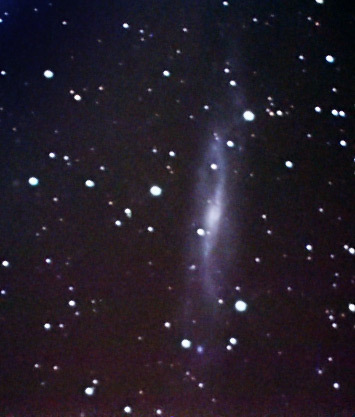 This is a very dim edge on spiral... really rather close to the limit of my equipment.